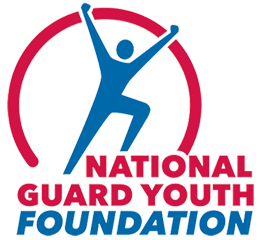 The National Guard Youth Foundation (NGYF) today announced the winners of the NGYF fall scholarship competition. The awards include $3,000 scholarships renewable for up to two years or $5,000 scholarships renewable for up to four years. Nicholas Johnson – Mountaineer ChalleNGe Academy in Kingwood, W.Va.
Tyler Livingstone – Wisconsin Youth ChalleNGe Academy in Fort McCoy, Wis.
Micah Sisson – Oregon Youth ChalleNGe Program in Bend, Ore.
John Alan Sutton – Thunderbird Youth Academy in Pryor, Okla.
Jacob Evans – Tarheel ChalleNGe Academy in Salemburg, N.C.
Josue Morataya – Thunderbird Youth Academy in Pryor, Okla.
Yvette Ramierez – Lincoln’s ChalleNGe Academy in Rantoul, Ill.
Canedra Whaff – Commonwealth ChalleNGe Academy in Virginia Beach, Va.
Zipporah Williamson – Washington Youth Academy in Bremerton, Wash.